With any town comes the need for management and planning. It has been no different for Waiuku although there are many who can attest to a history of diverse governance. It all started when the New Zealand Provinces were disestablished in 1876 and Road Boards were set up. 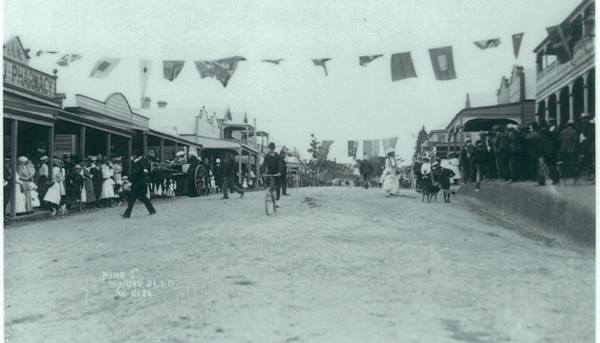 Then, in 1914, the Waiuku Town Board was established bringing a new style of local government whereby towns such as Waiuku could determine their own goals and rate their residents accordingly. That ticked along until 1955 when the Waiuku Borough Council was born during the first basic local government reshuffle of the 20th century. At that time, Waiuku had a population of just over 2000. Interestingly, the town has only had two mayors – the well-known Dr Sam Whiteside followed by Kevan Lawrence, who managed Waiuku’s IGA grocery store. Kevan became involved with the Waiuku St John Ambulance and, unhappy that there was no ambulance in the town, he brought one down from home town Whangarei at his own expense. Kevan stood for and won the mayoralty when Dr Whiteside retired, holding the position until the next local government reform which saw Waiuku become a part of Franklin. During his term forward thinking councillors made some sound decisions that are still an influence today. During the mid-1960s, NZ Steel was established at Glenbrook. This had a profound effect on Waiuku’s economic development with council working hard for the community to reap every benefit from the mill project including new housing. Council then took the bold step of establishing an industrial estate at Fernleigh and a state of the art sewerage system. The Think Big projects of the National Government in the late 1970s continued to make their impact locally. and council was successful in obtaining a sizeable development levy which they put (in part) into the new administration building and civic centre. Today, the building still houses the library, a council offce and a community hall. However, not everything was perfect because council got themselves ‘in the poo’ when it decided to build a public toilet outside the Kentish Hotel in Queen Street. The public were in an uproar and council was forced to demolish it. of the toilet, were found to be still there and had to be removed. Near the end of its term, the borough council established the Waiuku Information Office (the only one that continues to operate in Franklin today) and the still active Waiuku Development Agency, which together with the Business Association, is the present economic facilitator in Waiuku. In 1989, NZ went through a major local government change with amalgamation of boroughs, cities and county councils. Auckland was split into four cities (North Shore, Waitakere, Auckland and Manukau) plus three districts, Rodney, Papakura and Franklin. Waiuku became part of Franklin. An Auckland regional council had responsibilities across the entire area except southern Franklin, which was affliated with the Waikato region. In 2010, more local government reform saw the four cities and district councils amalgamated under one Auckland Council. Franklin District Council were keen to become a unitary authority but that was never an option. Northern Franklin became part of Auckland while the southern part became part of the Waikato district. As a personal opinion, I think Franklin, and particularly Waiuku has benefited from this union. Already more financial input is being directed towards the town and, regardless of what happens politically, Waiuku, with a present population of 9200, is looking strong.